Abstract: Tendon-transfer surgeries are performed for a variety of conditions such as stroke, palsies, trauma, and congenital defects. The surgery involves re-routing a tendon from a nonfunctioning muscle to a functioning muscle to partially restore lost function. However, a fundamental aspect of the current surgery, namely the suture that attaches the tendon(s) to the muscles, can lead to poor post-surgery function. For example, in the hand tendon-transfer surgery for high median-ulnar palsy, one muscle is sutured to all four finger flexor tendons. This couples finger movement, prevents the fingers from adapting to an object’s shape while grasping, and leads to poor hand function overall. This project investigates the design and use of miniature passive differential mechanisms, such as pulleys and links, as implants to attach the muscles and tendons in place of the direct suture. Results from biomechanical simulations and human cadaver experiments show that the new surgical procedure results in significantly better hand function in terms of finger movement and reduced actuator-force requirement in grasping tasks. The long-term goal is to enable re-engineering the mechanics of movement and force transmission from within the body using robotic devices. 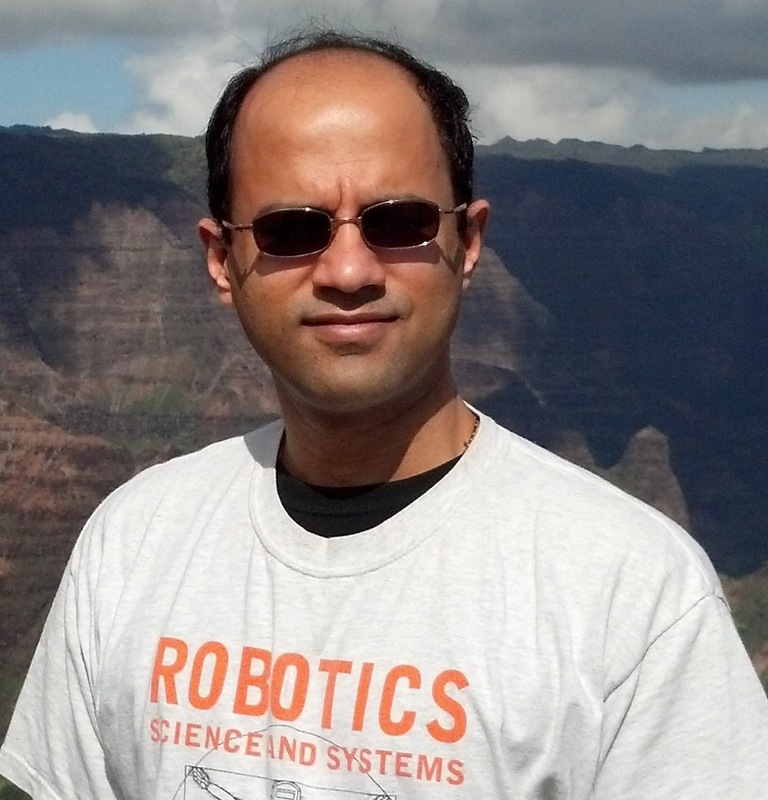 Speaker bio: Dr. Ravi Balasubramanian is an Assistant Professor in the Mechanical Engineering department at Oregon State University, where he directs the Robotics and Human Control Systems Laboratory. He received his undergraduate degree in Mechanical Engineering from the National University of Singapore with top honors and his PhD from the Robotics Institute at Carnegie Mellon University in 2006. He did a post-doctoral fellowship at the University of Washington in computational neuroscience and biomechanics. During this time, he also led a personal-robotics project in collaboration with Intel Labs Seattle. He then was a research scientist in Yale University developing novel mechanisms for robotic hands. Dr. Balasubramanian has received several awards including the National Science Foundation CAREER grant, the Congressionally Directed Medical Research Program Neuromusculoskeletal Injuries Research Award, Best Manipulation Paper Finalist award from the International Conference on Robotics and Automation in 2016, the Oregon State University Impact Award for Outstanding Scholarship in 2017, the Outstanding Researcher Award from the NIH National Center for Simulation in Rehabilitation Research in 2013, and the Best Student Paper finalist award at the International Conference on Robotics and Automation in 2004. The key principle behind Dr. Balasubramanian’s work is to simultaneously draw inspiration from the human control system to advance robotic systems and to use robotic systems to develop a better understanding of the human body and improve quality of life.